Red Lanterns Atrocitus and Mera! 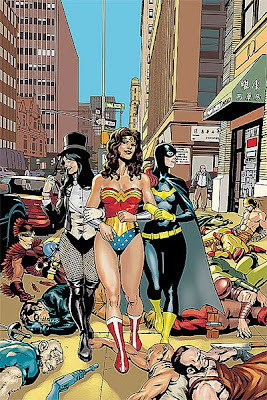 Batgirl, Wonder Woman and Zatanna enjoy a nice, peaceful evening on the town that absolutely won't be interrupted by any kind of superheroic hijinks whatsoever... and if you believe that, there's a giant bronze globe in Metropolis we'd like to sell you! 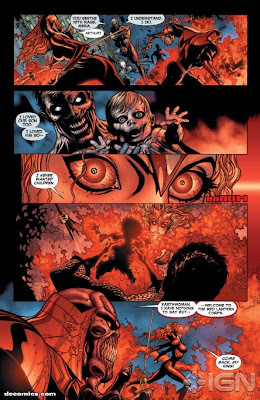 Mera & Atom :: The Birth of Nekron! 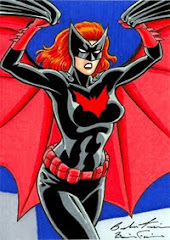 Mera of Earth... you have great rage in your heart... you belong to the Red Lantern Corps! 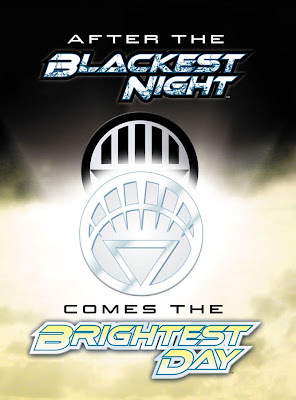 DC Comics announced that Blackest Night would be followed by Brightest Day, a bi-weekly "maxi-series" written by Geoff Johns and Pete Tomasi. Geoff Johns: Brightest Day is the next step in repositioning a lot of characters in the DC Universe and pushing them to the next level. 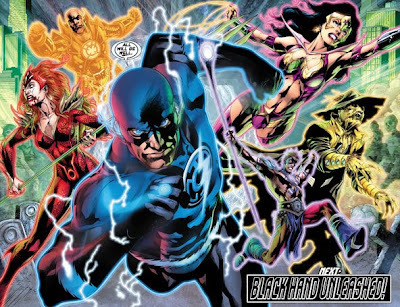 A lot of the main characters we've seen in Blackest Night will continue on to Brightest Day, like Mera and the Atom. 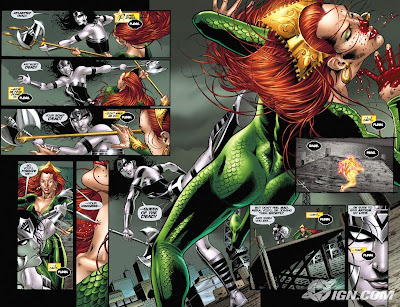 At the same time, Mera, who is right at the center of the Aquaman stuff, you see her as a survivor and warrior. 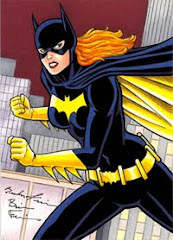 I've just always loved her and thought she was a very powerful character with a lot of presence. She'll be one of the main characters in Brightest Day. 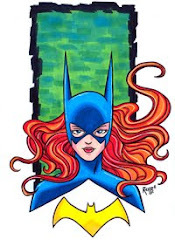 The story I have behind her, which is touched on a little bit more in Blackest Night, Green Lantern and even Blackest Night: Wonder Woman, is that there's an intense rage inside her from a lot of things she's yet to deal with. A lot of that will carry into Brightest Day. 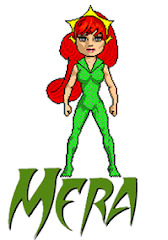 But Mera emerged as a character organically as I was plotting this story. Suddenly she emerged and I thought, "okay, good." 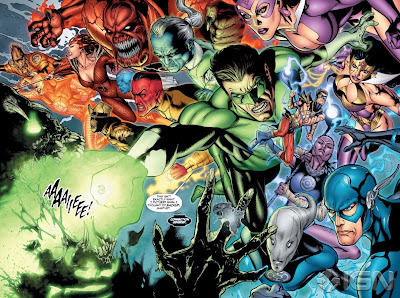 And about Blackest Night, Mr. Johns said: In January we have Green Lantern #50, which is thirty pages and deals with the New Guardians and all their recruits. It's a pretty big story, and Doug Mahnke just kicked the hell out of it. 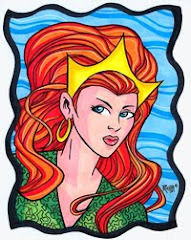 I just love his rendition of Red Lantern Mera. 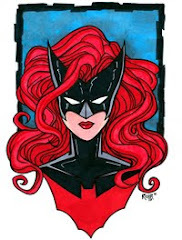 Mera has become a Red Lantern and wears a copy of Atrocitus' ring. Along her we find the Atom who has the capability to instill Hope as an Indigo Lantern, Lex Luthor who wants it all and is now an Agent Orange, The Scarecrow who's always been able to instill great fear and finally wears a ring of the Sinestro Corps, Princess Diana who feels more love than anyone else and has become a Star Sapphire, and Barry Allen who has the ability to instill hope as a Blue Lantern! Geoff Johns: The other journeys, next to Hal and Barry, are the Atom and Mera. They both go through specific journeys. The Atom's culminates in The Atom and Hawkman issue I'm doing, and it continues through Blackest Night. 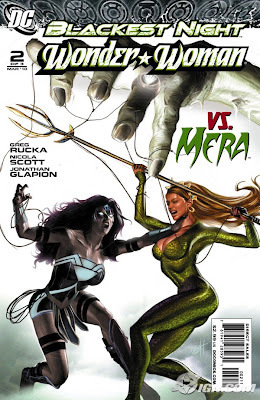 And Mera's goes through Blackest Night, Blackest Night: Wonder Woman and beyond. She’ll be someone I’ll be working with in 2010, 2011 and beyond... Mera just developed organically, because I've always found that character intriguing. A lot of people recognized that character, but nothing's been done with her in years. I wanted to put her on the stage. You know, Aquaman's not here. It's like the whole beat that Barry says to them: "We're the Justice League now. You're Superman, and you're Wonder Woman. So let's go do this." 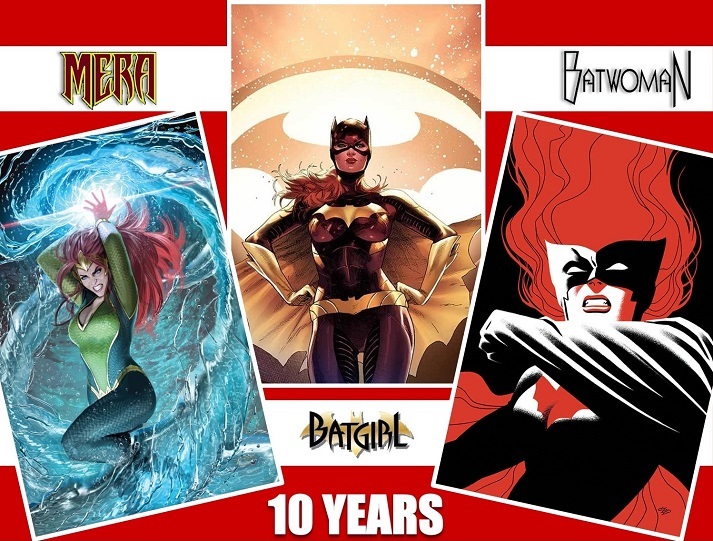 I knew I would be introducing all these new characters, and I thought at the same time I'd like to take a couple old characters like Mera and Black Hand alongside Larfleeze and Saint Walker. Newsarama: You said you always found Mera's character "intriguing." Why? Johns: I just always found her to be powerful and strong and unexplored. 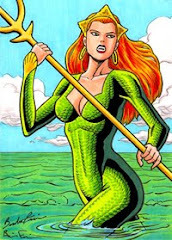 She stood apart; she wasn't Aquawoman, which I liked. 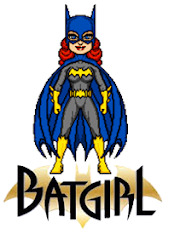 She was her own character, separate from Aquaman. She had her own history. 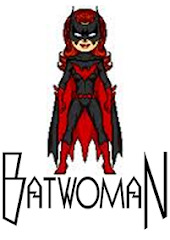 I always found her appealing and thought she could be an important character, and I believe she's going to be one of the strongest females in the coming years.